A supremely cost-effective tool for improving underwater photography. ‘This book will arm and inspire you to transform your underwater photographs, whatever camera you use’: Alex Mustard (from the Foreword). The best underwater images don’t just capture the subject well, they also capture mood, emotion and atmosphere. Unlike most other underwater photography books, Winning Images with Any Underwater Camera focuses on composition and technique rather than the all-­consuming camera technology that people tend to chase first. This makes it a supremely cost-effective tool for improving images; and there is no discrimination between users of different camera systems — this truly is a book for all. 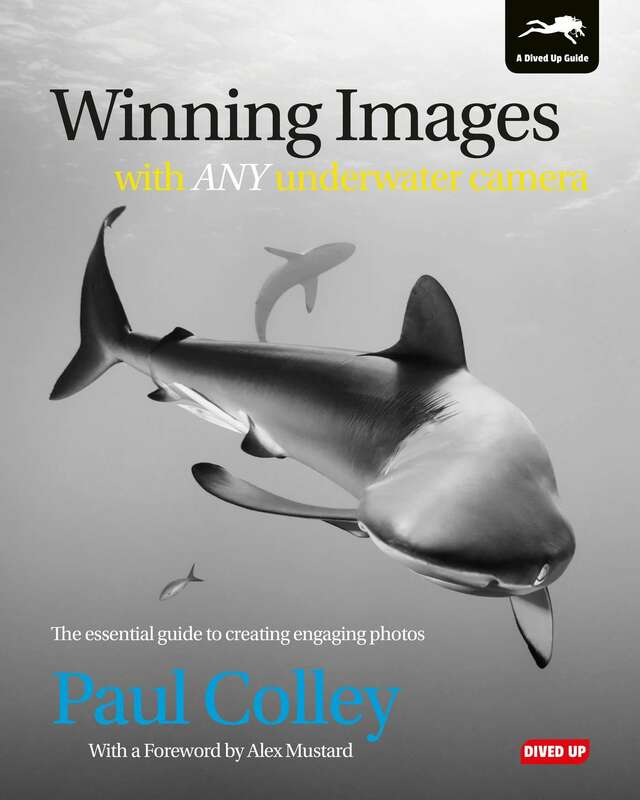 International award winner and instructor Paul Colley reveals the short cuts and shows the vital bits of artistic theory as it applies to underwater photography, grappling with composition in much greater depth than in other books. He also includes easy-to-remember reference models for underwater composition: pre-planned concepts for twelve typical underwater scenes, with the principal considerations boiled down to those essentials that will help you achieve great results, time and again. ‘Excellently written, highly informative and well-executed publication… I am confident that this book will stand out as the essential guide on this subject’: Diver magazine. ‘This book could just be the key to unlocking a new level in your photography career… [and] there is something in this book for all U/W photographers who want to get ahead of the game in shooting images for competitions’: UWP Magazine. ‘Winning Images does a thorough job of bringing together the current thinking in composition, approach and style. An ideal gift for any serious underwater photographer’: SCUBA magazine. And as featured in Sport Diver. Click this link to view our free preview of Winning Images with Any Underwater Camera. Paul Colley is a diving instructor, INON UK underwater photography instructor, lifetime Vice-President of the Royal Air Force Sub-Aqua Association, and has won international underwater photography competitions to gold medal standard. He writes regularly for diving magazines, websites and his own blog. Now he shares his methods and approach with you. Kindle (for Kindle and any device which has the Kindle App, e.g. iPhone, iPad and Android smart phones and tablets). Android (via the Google Play store). Please note that this ebook is best viewed on colour devices.